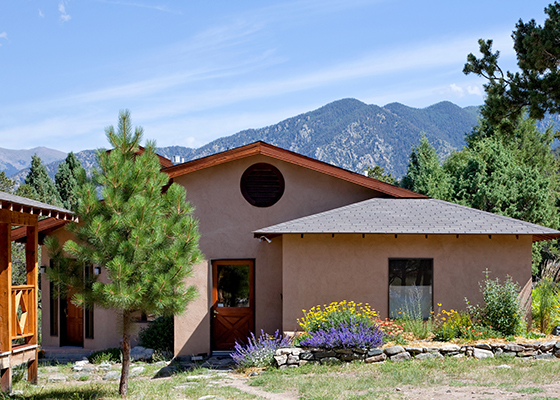 The Guest House is a spacious building with a quiet atmosphere in the center of the campus. It includes five private rooms. These rooms are the largest accommodations we offer. Each room has a downstairs area with a single bed and desk and an upstairs loft with a double bed. 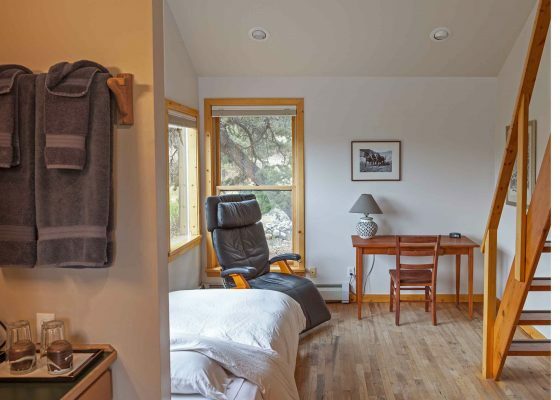 All rooms have a sink, a little area to prepare tea, and wireless internet. The room can be reserved for one to three individuals or can be set up to accommodate parents and two children. Shared bathrooms are in the hallway.